I&apos;m going to keep it simple this week and take a page out of one of my favorite podcast&apos;s books, The Friend Zone. For the wellness segment this week, Fran talked about how she began drinking 3 liters of water and raved about all the positive benefits just one extra liter of water gave her daily, since she was already drinking two liters a day. This motivated me to highlight hydrating as a self-care topic for this week, because people be sleepin&apos; on water, tho&apos;. Lol. For about as long as I can remember, I have been on a "gallon-a-day" kick; meaning yes, I drink at least 100-128 oz of water a day. I feel like anything less now my body is not at it&apos;s best. I knew that part of me becoming a healthier me began with increasing my water intake, so I took that and told myself that I would start drinking more water. There are certain formulas out there that tell you exactly how much you should drink based on your weight and body type, but so far based on how much I work out and everything, a gallon has pretty much kept me well hydrated throughout the day. Since the beginning of me drinking water, I&apos;ve seen a great increase in all these things, and when I&apos;m not getting enough water, I can tell. I feel tired, my skin looks washed out, and overall I feel very dehydrated. Sometimes water is not my favorite thing to drink, but I know my body cannot live without it, so I make sure I keep my gallon jug with me, and anytime I need a thirst quencher, I tip it back and chug-a-lug! So, this week, monitor your water intake. If you know you don&apos;t get enough water or don&apos;t think you&apos;re getting enough water, try to increase how much water you drink in a day and see how it changes your overall feeling after about a week. With that much money, I have no clue. Lol. I know I would obviously pay off unnecessary debt, save money for my daughter&apos;s future, buy a nicer car and a really nice house. Other than that, I have no earthly idea what I would really do with all that money. I completed a challenge recently over the past seven days that I found on alex_elle&apos;s Instagram page. The challenge was to create one affirmation per day using three words given on each day. The challenge began on 7/17 and ended on 7/24. I successfully completed the challenge and after creating my final affirmation I felt truly empowered by what I was able to accomplish. I wanted to share with you all the 7 affirmations I created over the last week, and how they have resonated with me in this particular point in my life. Each one is significant, as it identifies with something that I was dealing with in that specific day, and somehow, I was able to abide by my affirmation and see it all the way through to the end. As I reflect over the past seven days and go back through the affirmations I created for myself, I have to give myself credit for finding the right words to put together despite the week I had. 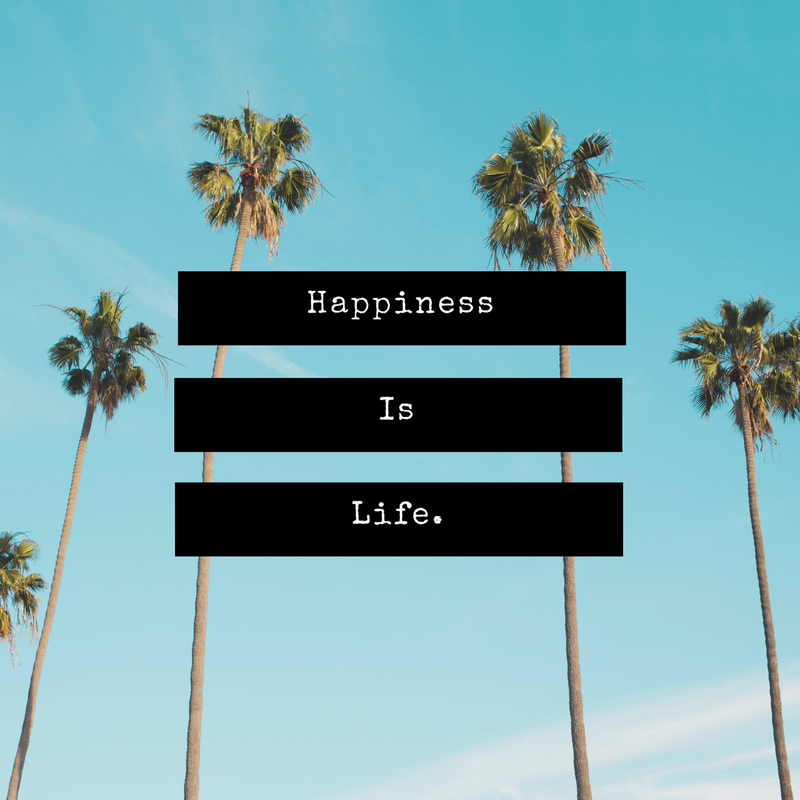 It was not one of my best weeks, and I had to admit that I found it to be a challenge taking on the task of creating positive affirmations during a week where I found myself not finding many things going positively at all. Looking back, I can see the strength in my words, and can feel the resiliency in what I typed out as I dug deep within myself to find whatever was left within my spirit to hold on to some level of positivity. 7/17: that I will allow love to prevail in all things, despite the trials I may face throughout the day. 7/18: that what hurts me will not discourage my healing or prevent me from moving forward with my goals. 7/19: that joy will be abundant far beyond the circumstance of life. 7/20: that a failure along the way will not stop me from the ability to enjoy my journey. 7/21: that I will adopt the courage and the patience to hit "restart" if life begins to overwhelm me. 7/22: that my life will not be of any others to own and I will find truth in understanding God&apos;s plan for my life. 7/23: that I will not look at the shift in my life as difficult. I will embrace the change, I will become better, stronger and wiser for it; because I know it will all be beneficial for my well-being. 7/24: I will destroy negative thoughts. I will be intentional in my positive thinking and understand that the opportunities put in front of me are mine to manipulate to benefit me! Here’s something that I know we all can agree we’ve dealt with at least on a daily basis in one way or another: STRESS. I honestly couldn’t have written this post at a more critical time in my life, because my stress levels have been higher than usual lately. Whether it be from everyday life circumstances, job-related stress, personal family issues, friends, significant others, etc. ; stress is all around and it creeps its way into the things we tend to hold near and dear to us. The idea behind stress is making sure that you are not allowing it to overwhelm you and effect your mind, body and spirit. Putting measures in place to manage your stress will allow you to get a handle on it and not allow stress to run your life, because it has the ability to effect us mentally, emotionally and even physically. These are just a few things you can do to keep your stress level down when you feel it creeping up on you. A lot of times, we live and work in high-stress situations daily, and the idea of getting stressed out has become second nature, but it doesn’t have to! By adapting a small 5-10 minute routine that you can do even when you notice things are beginning to feel overwhelming can help manage the level of stress you put on yourself. This week, try adapting one or two of these suggestions, or let me know a few of your techniques that you use to manage your stress. Let’s all work together and help each other keep stay mentally and emotionally healthy! What and who makes me happy? My daughter’s laughter. My husband’s unconditional love and support. My mother’s tough love. My sister’s strength and faith. My grandmother’s presence. My nephews resilience. My best friend’s support. My endless collection of books. My favorite set of G2 pens. My notebook. My USB flash drives (even though my best friend says I need an external hard drive LMAO). My meditation balls. My oil diffuser. The 20 minutes of meditation I take in the morning. Working out in the morning. Eating healthy. Coffee. Wine. Whiskey. Mimosas on Saturdays and Sundays. Headphone blasting. Migos. SZA. 2 Chainz. Drake. Cardi B. Beyonce. Jay-Z. The Friend Zone. The Read. Gettin’ Grown. #BlackTwitter. Snapchat. Instagram. Love & Hip Hop. Insecure. #TGIT. Basketball. Football. SVU. Blackish. Empire. Love. Laugher. Smiling. Positive vibes. Energy. Growth. Success. Wealth. Prosperity. Faith. EXTENDED!! FREE SHIPPING UNTIL 8/1/17!!! I’ve extended until 8/1!!! Get free shipping on either book purchase now! !